University of Washington Press, 9780295977737, 336pp. Western historians continue to seek new ways of understanding the particular mixture of physical territory, human actions, outside influences, and unique expectations that has made the North American West what it is today. This collection of twelve essays tackles the subject of power and place from several angles--Indians and non-Indians, race and gender, environment and economy--to gain insight into major forces at work during two centuries of western history. 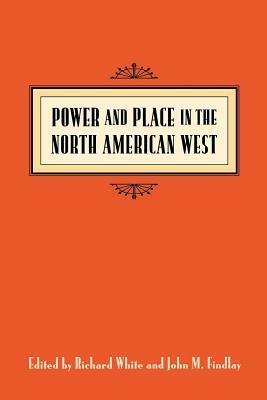 The essays, related to one another by their concern with how power is exercised in, over, and by western places, cover a wide range of times and topics, from 18th-century Spanish New Mexico to 19th-century British Columbia to 20th-century Sun Valley and Los Angeles. They encompass analyses of the concept and rhetoric of race, theoretical speculations on gender and powerlessness, and insights on the causes of current environmental crises.